What Juan Mata to Manchester United Means. Juan Mata completing his transfer from Chelsea to Manchester United for a reported fee of £37 million, a record fee for Utd, means many different things. It is the biggest transfer of the January window so far and shows several things and leads to several thoughts on the matter, of which I am going to run through what the impact of this transfer will be for those involved. The most glaring thing which the Juan Mata transfer shows, is a statement of intent from Manchester United going forward in the transfer market. It isn’t every day that you go out and break your transfer record (unless you’re Man City or PSG) and it was more than five years ago when Dimitar Berbatov joined Utd from Spurs which that happened. When you consider what the teams around Utd have done in that same time, it does seem incredible that the Berbatov record stood for so long. The fact that Utd were willing to break their transfer record tells you that the board fully supports David Moyes and that they aren’t going to take finishing in the top four for granted. The bigger question is where was this support for the manager in the summer? This kind of signing was exactly what Utd needed to start the Moyes reign off in an electric fashion, but instead Utd bumbled through the transfer window with one blunder after another, ending in the signing of Fellaini for around £5 million more than they could have got him a month prior. Maybe having such a poor transfer window followed by such a poor start to the season gave the board the shot in the arm which they clearly required, and that is why the signing of Juan Mata is a massive statement of intent of the board, of David Moyes and most important for Manchester United. If Chelsea fans were to be honest with themselves, then they would almost all agree that they only started supporting the club after the money arrived and that Juan Mata was by far their best player. It is classic Mourinho to come in to a club and take a big player and totally disown him, this will then lead to one of two things, either he will after months out in the cold bring the player back and make him an important part of his first team (a la David Luiz) or he will toss them aside to show the other players that nobody is safe and to keep the other players on their toes (a la Juan Mata). It takes nuts to do this, it shows a manager who knows that he can do what he wishes and nobody will question it. Mourinho sells his best player to one of his biggest opponents and people call it genius, if someone else did it I doubt they’d be saying the same thing. There is no doubt that Utd were desperate for a boost, desperate for a new face in the locker room and desperate to not finish outside the top four for the first time since the inception of the Premier League, but was spending £37 million on a player in January who can’t play in one of the two competitions which you are actually left in desperation? The answer is no. If you had said to me in the summer that Utd would sign Juan Mata for £37 million I would have said what a great piece of business, however it is hard to ignore the fact that this season at Chelsea Mata has been very much a squad player. Now nobody can sit and tell me that Mata isn’t an excellent player but £37 million for a reject from one of your rivals seems nothing short of desperation. Did Utd overpay? Yes of course they did, they needed a big signing, Mata wanted away and Chelsea wanted to get rid of him, but a fee of £30 million would have seemed more suffice given the circumstances. When I wrote about the summer transfer window I talked about my frustrations with Utd’s lacklustre transfer dealings, and commented that sometimes you need to overpay to get the best talent; Arsenal did it with Ozil and now Utd have done it with Mata. Desperation it is not, but rather Utd finally aligning with the current state of football’s transfer market. I wrote about Rooney in one of my first ever blog posts, and I talked about Chelsea’s apparent offer of £10 million plus Mata or Luiz, which I then commented would be very hard to turn down if you offered £15 million plus Mata. That of course puts Rooney’s valuation at around £52 million (I think it’s closer to £40 million) but he obviously won’t reach true value with only one year left on his contract. With Mata joining Utd it could mean one of two things for Rooney, either he is on the way out and Mata is his replacement or this is the start of something special at Utd. Rooney seems very temperamental when it comes to having two years left on his contract, and I personally don’t think that he deserves a raise and the captaincy but there is no doubting that he has given his all this season (something people seem to ignore about David Moyes) and if he is committed to the club then you will then have three quality attacking talents as well as one of the brightest young talents in world football who can only get better by playing with other star players. If Rooney was an intelligent man (doubtful) he would realise that Old Trafford is the place he belongs and that David Moyes intends to build the team around him. Do I think Rooney is going in the summer? I now very much doubt it and fully expect him to sign a new contract at the club which would be another massive morale boost to the squad. Did Arsenal overpay for Ozil? At the time I said they over paid for Ozil, and the signing of Mata for £37 million shows that they clearly did. Not only would I say that Mata is a better player than Ozil, but he also has shown that he can be one of the best players in the league something Ozil still has not. This is a two part question; what’s next in the transfer market and what’s next for David Moyes? Both are answered in a similar manner, Utd have shown massive faith in David Moyes and are going to give him the chance (which most other clubs wouldn’t) to shine in his role. Yes this season has been harder than I’m sure every Utd fan would have imagined, and yes the transfer dealings prior to the Mata signing were nothing short of embarrassing, but things are starting to look up. Manchester United is a special club, and it is ironic that Juan Mata has come from the total opposite of what Manchester United is, in Chelsea. Utd still need players, to be more exact they need at least a winger, a holding midfielder and a central midfielder, but the noises which are now being made and the targets which are now being targeted are the types of realistic and quality targets which should really have been aimed for in the summer. Anyway I think Juan Mata to Utd makes a lot of sense for all parties involved and that it will more than likely turn out to be a very good piece of business. I think the Juan Mata signing will be the catalyst to send Utd into finishing comfortably within the top four and he adds instant quality to their squad. 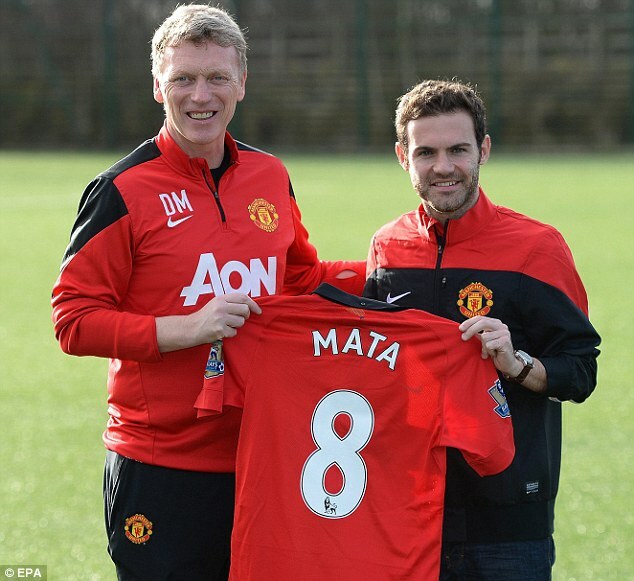 So what do you think of the Juan Mata signing? Leave a comment and share your opinion. Plus find all the latest bm23sportsreviews updates on Facebook and Twitter. Author bm23reviewsPosted on January 27, 2014 January 27, 2014 Categories Football, Juan Mata, Manchester United, Premier League, Soccer, Sports, Transfer WindowTags English Premier League, Football, Juan Mata, man utd, Manchester United, Premier League, Soccer, Sports, Transfer Window18 Comments on What Juan Mata to Manchester United Means.